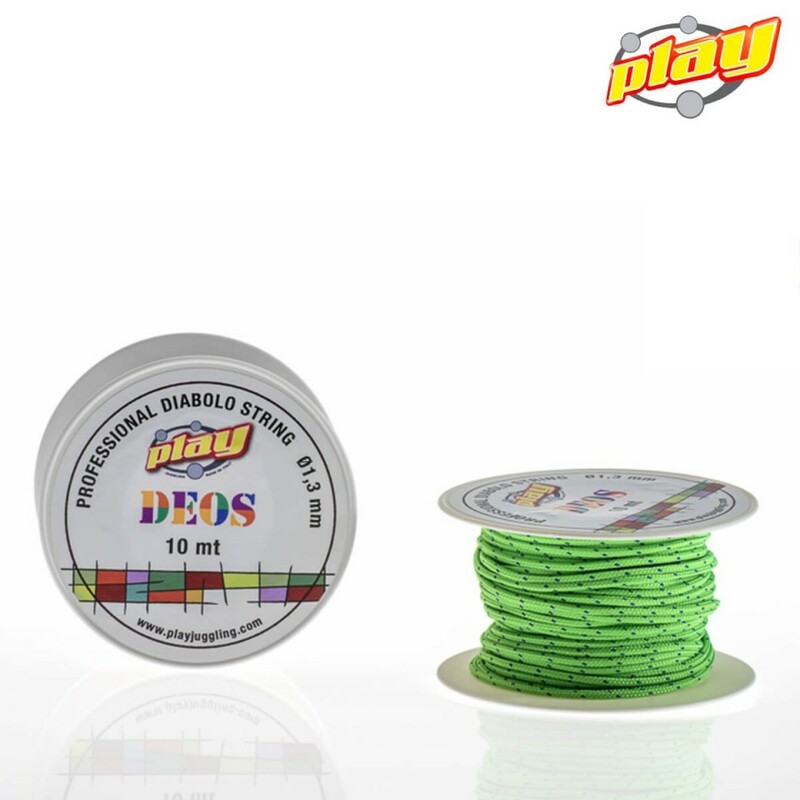 DEOS STRING is an high tenacity polyester string of 1,3 mm thickness which, unlike nylon strings, is not sensitive to air humidity and therefore working at it's best in any condition since first use. 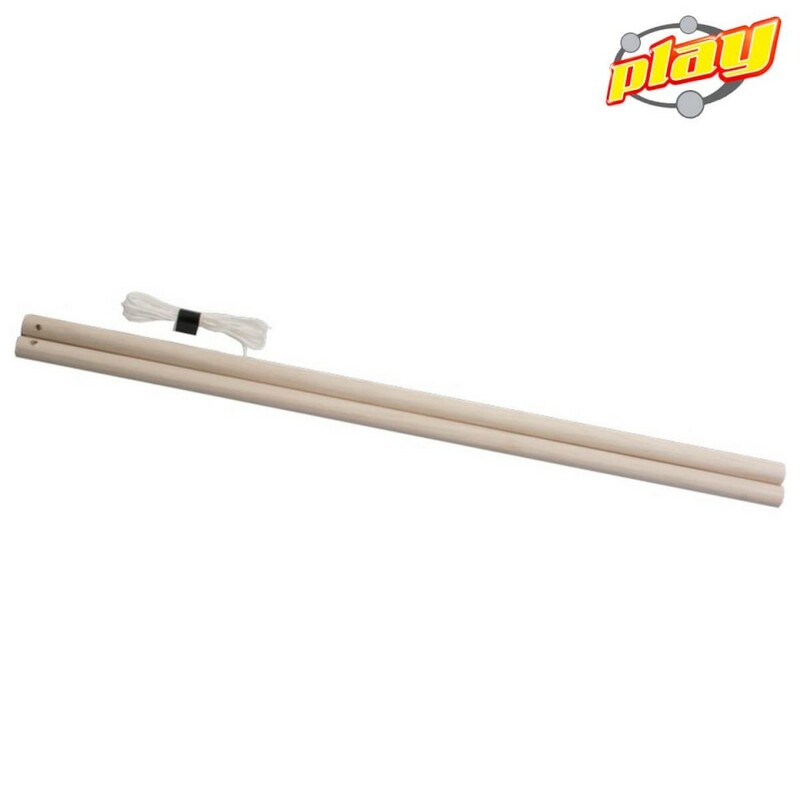 Pair of ash wood control sticks with string. 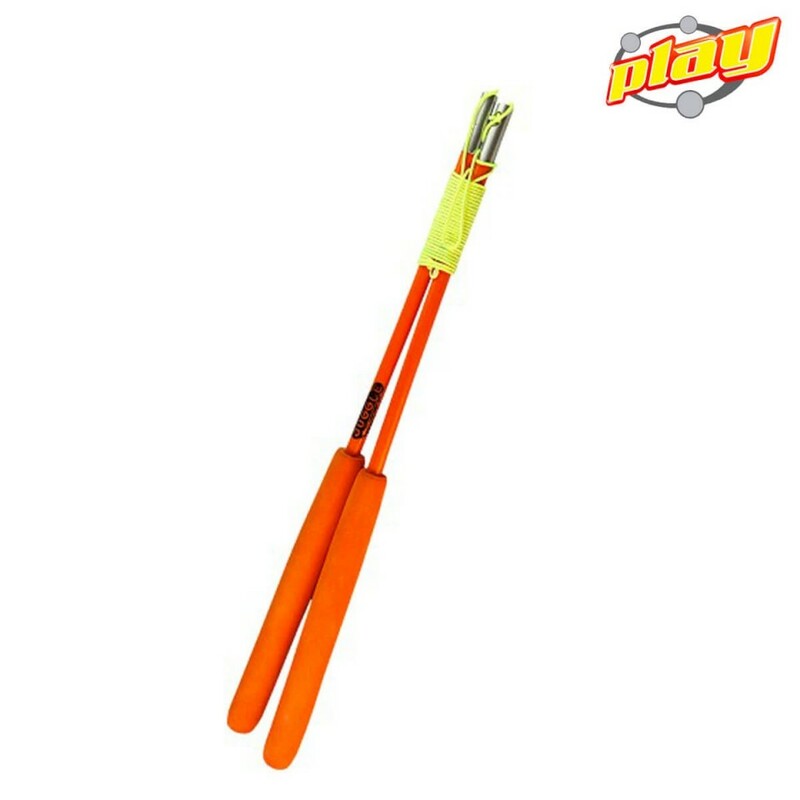 Juggle Dream 'Superglass' diabolo handsticks are strong, lightweight and come with comfortable padded EVA rubber handles. 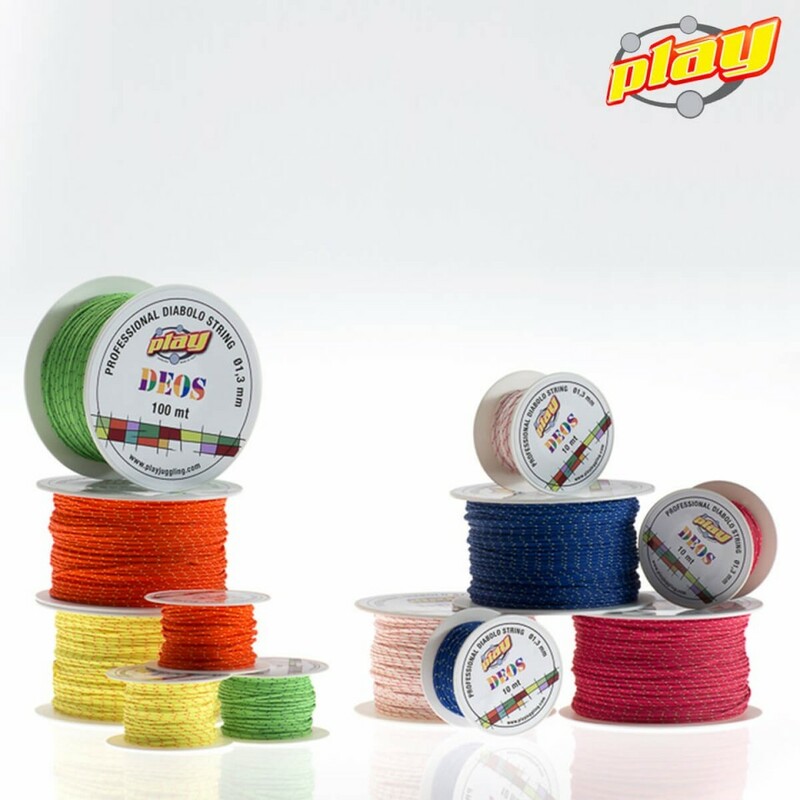 Unlike some basic sticks, the string passes straight into the top of the handstick and comes out a few centimetres down on one side. 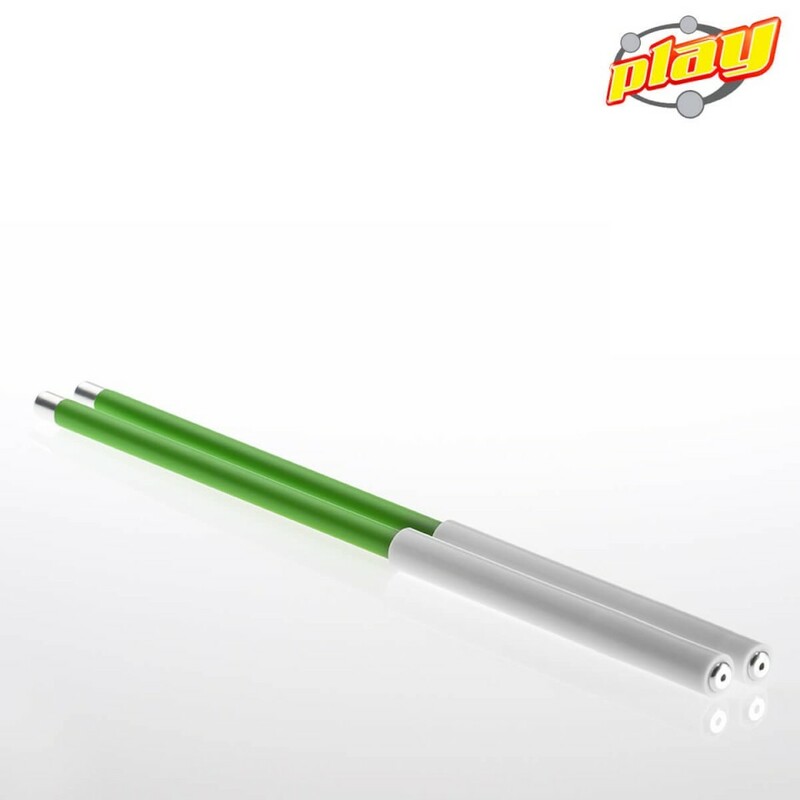 This removes the knot from the top of the stick making some new moves possible and others easier. Available in 6 vibrant UV reactive colors ( Our beautiful pictures can't match the real fluorescent effect ). 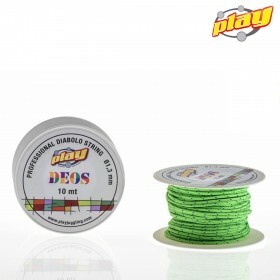 Recommended for any type of diabolo control sticks but surely best in combination with our DEOS STICKS.